A face oil can instantly provide solution to seasonal or weather-related dryness of skin. 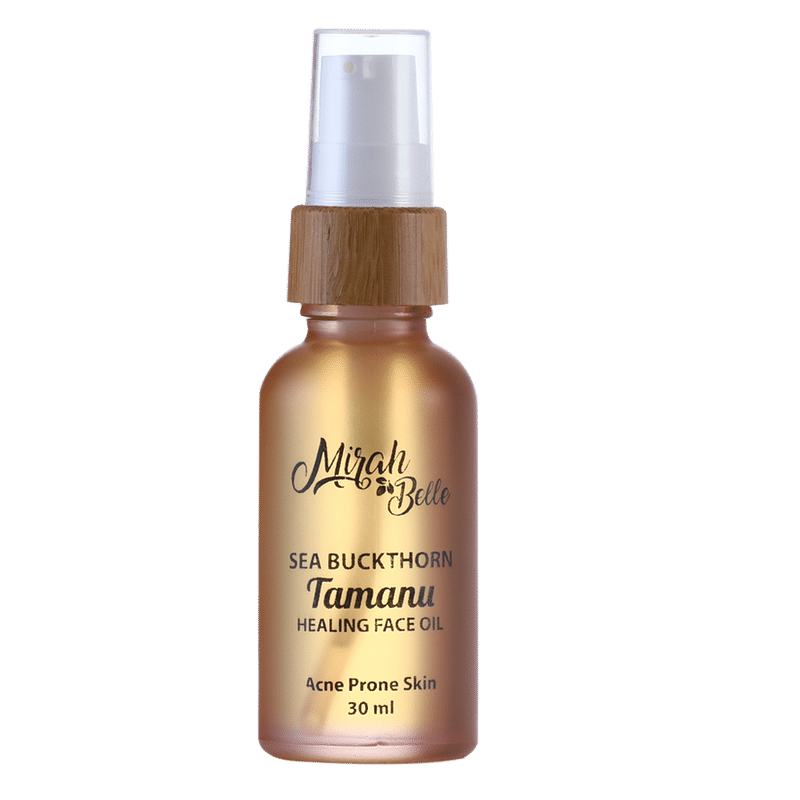 Mirah Belle Sea Buckthorn Healing Face Oil has has a lightweight texture that penetrates deep into your skin providing it with the necessary moisture, thereby preventing dryness of skin. Coupling this face oil with a moisturiser or face serum will help you to get a smooth and healthy skin, while you suffer from dehydrated skin. This moisturising oil can also heal cracked, dry and rough skin. Now, smooth, soft, supple and beautiful skin is not a distant dream.